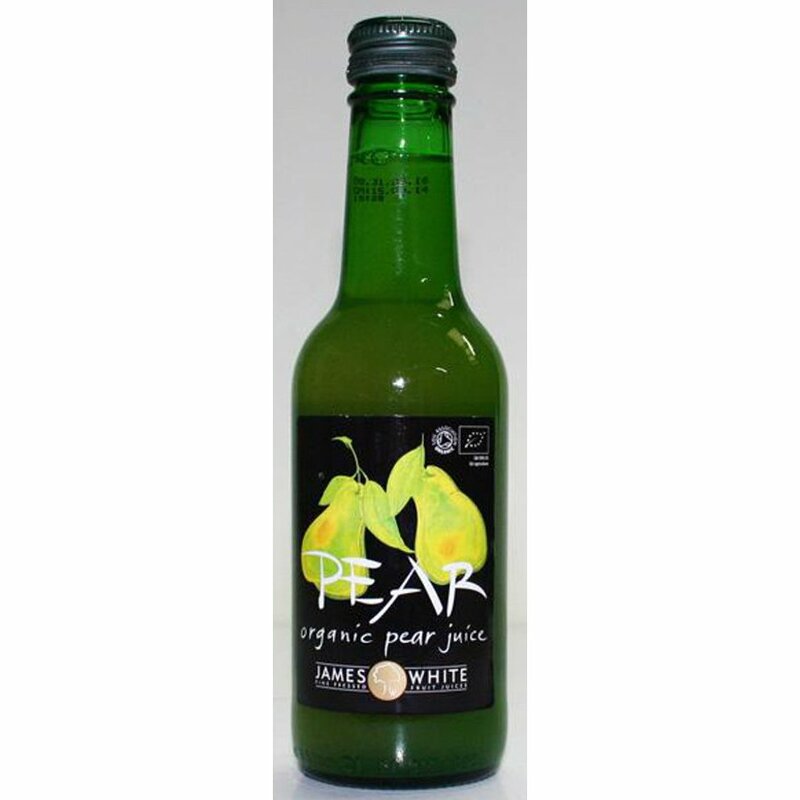 A light and refreshing organic pear juice from James White made straight from pressed pears creating a revitalising fruity and natural juice drink. Nutritional info per 100ml: Energy - 192kj / 46kcal. Fat /of which saturate - 0.1g / <0.1g. Carbohydrates /of which sugars - 12.0g / 10.5g. Protein - 0.3g. Salt - <0.1g. The James White Organic Pear Juice - 250ml product ethics are indicated below. To learn more about these product ethics and to see related products, follow the links below. There are currently no questions to display about James White Organic Pear Juice - 250ml.